Dr. Graeb has, for instance, served as a Member of the Executive Committee of the ICCAD conference, as a Member or Chair of the Analog Program Subcommittees of the ICCAD, DAC, and D.A.T.E conferences, as Associate Editor of the IEEE TRANSACTIONS ON CIRCUITS AND SYSTEMS PART II: ANALOG AND DIGITAL SIGNAL PROCESSING and IEEE TRANSACTIONS ON COMPUTER-AIDED DESIGN OF INTEGRATED CIRCUITS AND SYSTEMS, and as a Member of the Technical Advisory Board of MunEDA GmbH Munich, which he co-founded. He is a Senior Member of IEEE (CAS) and member of VDE (ITG). He was the recipient of the 2008 prize of the Information Technology Society (ITG) of the Association for Electrical, Electronic and Information Technologies (VDE), of the 2004 Best Teaching Award of the TUM EE Faculty Students Association, of the 3rd prize of the 1996 Munich Business Plan Contest. 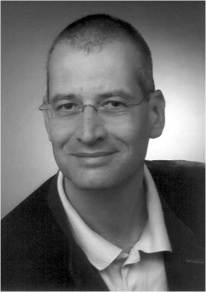 His research interests are in design automation for analog and mixed-signal circuits, with particular emphasis on Pareto optimization of analog circuits considering parameter tolerances, analog design for yield and reliability, hierarchical sizing of analog circuits, analog/mixed signal test design, discrete sizingof analog circuits, structural analysis of analog and digital circuits, and analog layout synthesis. 1. M. Zwerger, H. Graeb, Verification of the Power-Down Mode of analog Circuits by Structural Voltage Propagation, Analog Integrated Circuits and Signal Processing, 2013. 2. M. Pehl, H. Graeb, Tolerance Design of Analog Circuits Using a Branch-and-Bound Based Approach, Journal of Circuits, Systems and Computers, Special Issue on Energy and Variability Aware Circuits and Systems, 2012. 3. M. Eick, H. Graeb, MARS: Matching-driven analog sizing, IEEE Transactions on Computer-Aided Design of Integrated Circuits (TCAD), 2012. 4. Xin Pan, H. Graeb, Reliability optimization of analog integrated circuits considering the trade-off between lifetime and area, Microelectronics Reliability, 2012. 5. H. Habal, H. Graeb, Constraint-based Layout-driven Sizing of Analog Circuits, IEEE Transactions on Computer-Aided Design of Integrated Circuits (TCAD), 2011. 7. D. Mueller-Gritschneder, H. Graeb, U. Schlichtmann: A Successive Approach to Compute The Bounded Pareto Front of Practical Multi-Objective Optimization Problems, SIAM Journal on Optimization (SIOPT), 2009. 8. T. Massier, H. Graeb, U. Schlichtmann: The Sizing Rules Method for CMOS and Bipolar Analog Integrated Circuit Synthesis, IEEE Transactions on Computer-Aided Design of Integrated Circuits (TCAD), 2009.